Last November, in the distant yesteryear of 2013, we rolled out the next generation of language learning: Mango Premiere. The first and only language and culture learning system that teaches through film, learning a language has never been this fun. Language lovers across North America have used our fully interactive feature films to master new languages. New York, we love you. You’re a concrete jungle where dreams are made, there’s nothing you can’t do – let’s hear it for New York. Yes, we just paraphrased a Jay-Z song, but can you blame us? We’re talking about the Big Apple itself, New York City in all its glory – and its crown jewel, the New York Library Association. 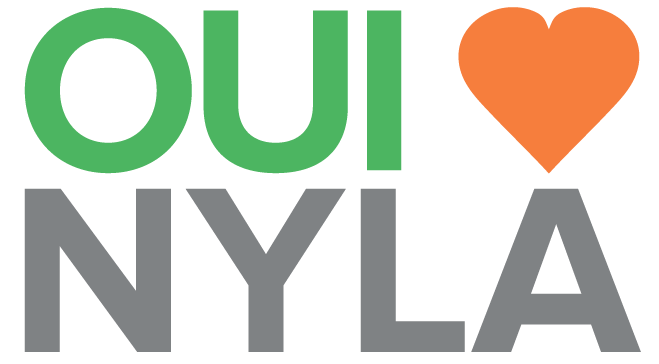 We’re excited and proud to announce our formal support of NYLA’s (even their acronym is cool) 2014 Library Advocacy Day, in Albany, New York. NYLA is a prominent voice in the library community, promoting and advocating on behalf of all libraries. 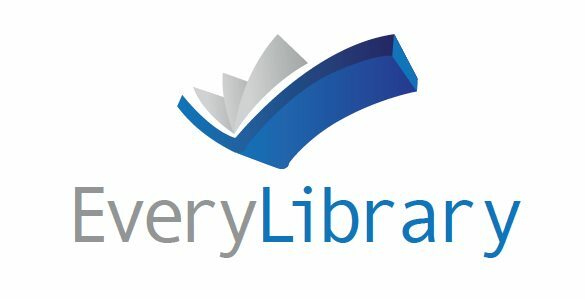 Not only that, they are also affiliated with the American Library Association (ALA). As you well know, we have a giant crush on all things library, so we couldn’t help but get involved. And this crush is not simply an infatuation. We like you for more than just your looks and books, NYLA. We love and support you because your libraries are a cultural hub for communities across the state; providing resources, opportunities, and growth to the public. We’re a passionate group of people who want to enrich lives with language and culture, and we love working with you to accomplish just that. So when it comes to Library Advocacy Day, count us in. But after February 26th comes and goes, you’ll still be seeing a lot of us. We’ll be in your libraries, providing cutting edge and loveable digital language-learning resources, we’ll be listening to your user feedback and mapping our plans accordingly, we’ll be at the annual NYLA show in the fall (we’re counting down the days), meeting and greeting and handing out brightly colored freebies. We do all this in alignment with your efforts to strengthen your communities, provide new resources to patrons, and support your stellar learning initiatives. Mango loves libraries, and NYLA, you’ve got a special place in our hearts. We’re rooting for your continued success and exceptional service to your communities. And if you’re looking for a new twist to your campaigns this year, why not make your case in a few different languages, courtesy of Mango? Rumor has it you can access over 60 fun and easy language courses with your library card – and you’ve got one of those, right? Viva las bibliotecas, viva NYLA! Are Romance Languages More Romantic? Around this time of year, Mango clients, customers, and employees all find themselves pondering the same question: are Romance languages really more romantic? And if so, what makes them so romantic? You’ve come to the right place. You’ve got language questions, we’ve got answers. It’s what we do. Increase your love language IQ with this crash course in Romance languages, just in time for Valentine's Day. Native speakers of these languages have irresistibly romantic accents. What does Rome have to do with it? In Rome, circa the fifth century, the classical form of Latin was edged out by Vulgar (aka “crowd”) Latin in speech and popularity. Around town, most people spoke in this more casual and varied form of Latin, which eventually spread throughout the Roman Empire. Through invasions, conquests, and the Empire’s eventual decline, new variations of Vulgar Latin spread beyond Rome, ultimately evolving into their own separate Romance, or “in the Roman style,” languages. Isn’t that Romantic? Turns out, there’s some pretty big perks to learning a Romance language. With Latin at its core, Romance languages share a lot of the same vocabulary, grammar structures, and, of course, an expansive history. For language learners, that means your lessons just got a lot easier. Once you know one Romance language, you’ve got a cheat sheet for learning any other Latin influenced language. And if you really want to dig in to the heart of Romance, why not cut to the chase and learn Latin? Mango’s Religious and Scholarly Language collection offers a fun and easy Latin course; so that you can be both scholarly and Romantic. It doesn’t get much better than that. Do as the Mangos do. The Roman Mangos. Transport yourself thousands of years back to the Roman Empire and learn the Latin vocabulary necessary to enjoy the texts of Cicero, decode the ancient Latin graffiti in Pompeii, and impress your date by ordering dinner in Latin. We’re sure your waiter will play along. And if she doesn’t, try Italian. Or Spanish. No matter which Romance language your heart desires; we’ve got the course to get the love flowing this Valentine’s Day. For a quickie, check out our flirty mini-courses, designed to get you a date in Spanish, French, Brazilian Portuguese, and Italian. And if you’re looking to start a long-term relationship with us, we’re ready to commit. 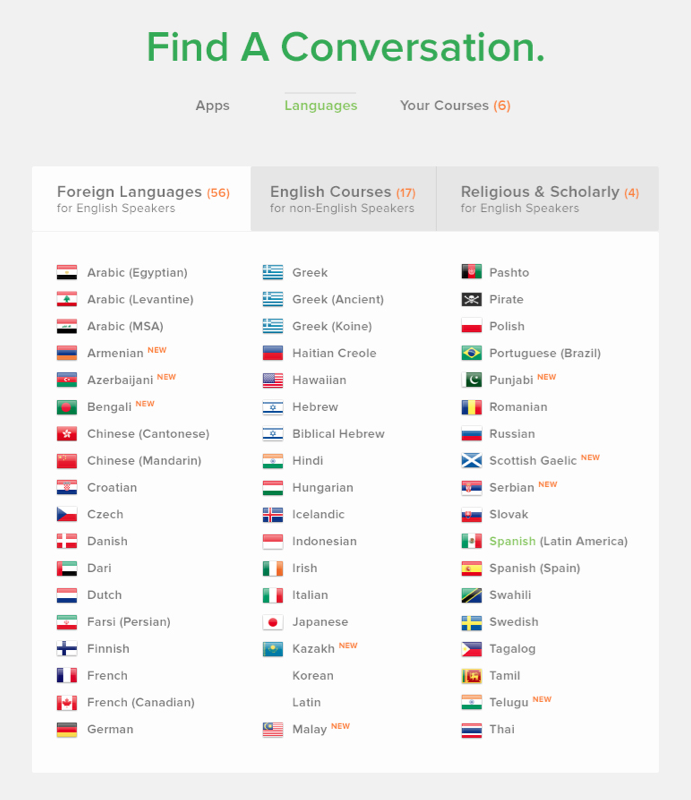 Mango’s full language-learning courses will go the distance with you in all the major Romance languages. So, are you ready for some Romance? 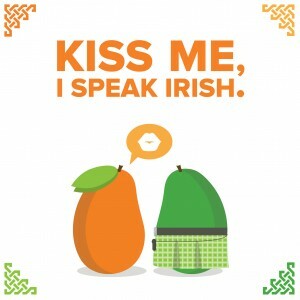 Find Mango in your library to start your language love affair today. Tis the season for the ALA Midwinter conference; and we’ve been geeking out pretty hard. This year, our theme is Bigger, brighter, Mango. If you’ve got plans to attend the show (January 24-27), stop by booth #1557 and we promise you’ll walk away bigger and brighter than ever before. Drumroll, please: 9 new films for Mango Premiere are here. Say hello to a bigger, brighter Mango.